My first novella, City of Kaiju, is finally out! Available through Amazon and Books2Read. You can see a preview of the very first chapter here. Help support a fresh new author with a fantastic read this spring season. Fiction Friday is a series where I talk about what I’ve been reading. Short Stories (and sometimes Novellas) are featured as in-between posts and the first Friday of the month will feature a new novel review. Today, I review The Secret of Zoone by Lee Edward Födi. The last few reviews, I talked about a Novella and I talked about a critically underwhelming book. This was due to me going through real life issues and not enough time for reading or writing. So in the spirit of things, I have a wonderful Middle-grade book for you all. Today we’re heading off to the multiverse in The Secret of Zoone, by Lee Edward Födi. You can buy it here. After last month, I wanted to find a magical story that felt more like me and would make me embrace my inner child, and I got everything I wanted and more. So let’s get into it and learn the secret of the center of the universe. The story follows the boring and typical life of Oswald “Ozzie” Sparks, a kid who lives all alone with his Aunt Temperance in a run down apartment with a cranky old man who fixes their plumbing. But that old geezer has a mysterious door, but he mockingly tells Ozzie that no magic exists. But when a strangely tall woman with wild hair and her green, spotted mouse arrive to tell them about Zoone, it sends Ozzie on a wild ride. But his fun falls short when a powerful foe, thought to have been sealed forever, is about to strike an invasion on Zoone, and it’s up to Ozzie and his friends to solve the mystery and stop the Glibber King. To start, this has a wonderful premise. A magical world at the center of the multiverse where people of all shapes and sizes can come and go as they please. Think of it like Chronicles of Narnia meets Dr. Seuss. The idea of experiencing a whimsical, magical world in this mundane, boring life has always been a hit with me. It’s why series like Harry Potter, Pokemon and the like have appealed to me so much. This story captures that and much more. A kid who’d rather do anything other than live with his aunt. His parents are off having adventures without them and now, with this new opportunity, he heads to Zoone with a flying mood-ring cat called a Skyger. In this world, characters of all kinds exist. It’s basically a master hub for the entire universe to billions of worlds from multiple universes. Tall people, short people, people with weird eyebrows, people with unusual hair colors, people with long necks, animal people, this world has it all. Ozzie is offered to be a porter, someone who guides travelers between the worlds. However, once he’s in Zoone, the door to his world is sealed off, and his sick aunt is there with a case of a broken heart. In order to save her, they have to get the door fixed, which only the wizards can do. Overall, the story is solid. It kept me hooked all the way through, the writing was great, the imagery was wonderful. I truly felt in an alternate world where anything was possible. And it’s a world filled with magic. My appreciation for this story is it doesn’t go too goofy. I do liken it to Dr. Seuss, but it’s not as wacky, even though the grand wizard has wacky eyebrows and a main stationmaster who is basically a mouse. It has a character who is clumsy, but not outright ignorant, which is unfortunately common in most media. I appreciate making Ozzie a likable hero with high ambitions, decent flaws and a heart of gold. He is a bit too kind as that gets him into more trouble than it’s worth. The other characters are wonderful and that’s it’s strong point. It has such an interesting array of characters. Some kind, some naive, and some a bit rude. My only con, if I may, is that we do see Zoone, but not much of the other worlds. I’d expect with the center of the multiverse, a world with near INFINITE opportunities, that we’d see Ozzie travel to some of these worlds and get himself into trouble there, and while this is the Secret of ZOONE, this could be a good opportunity to show the marvel of such a world. Most of the story is situated in the station itself. Granted, we do see a glimpse of Glibbersaug, a destroyed world where the main villain came from, is as vivid as the ruined world was, we don’t see a lot. 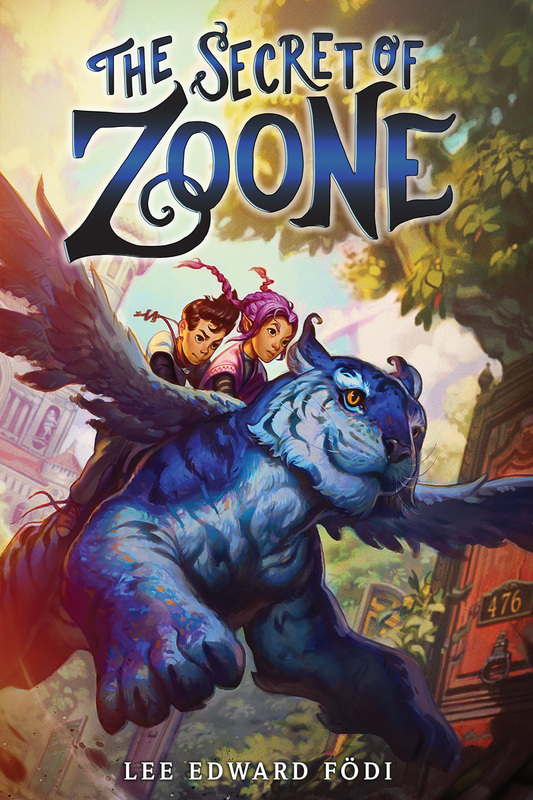 There are mentions of worlds and what they’re assumed to look like, but again, most of it is in Zoone. It’s probably the big issue in an otherwise wonderful tale. Such a vast universe with infinite possibilities and we see a small glimpse of it. Granted, it was a great story overall, but I love the imaginative variety of this world and I’d love to see more of it. If we do go back to Zoone, I’d love for this world to show us what’s truly out there. Bring on these infinite worlds and show us what can truly be possible. After all, with this wacky cast, it’d be a treat to see these worlds in action. 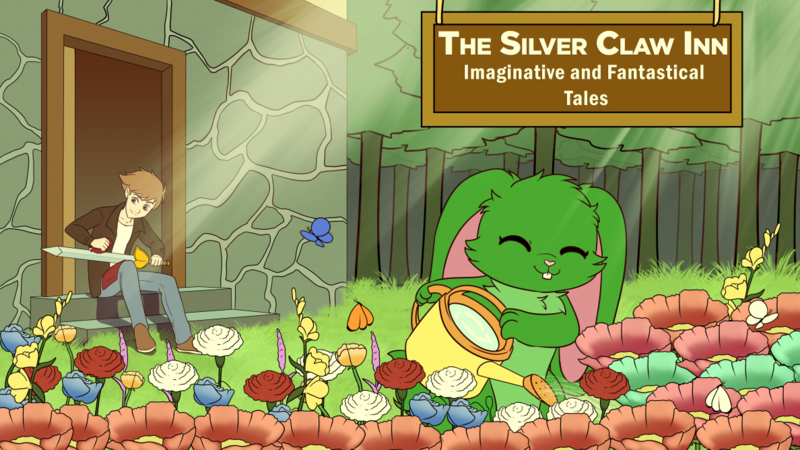 There’s a whole assortment of characters that really made this story shine. Let’s go through a few of them. First up, we have Tug the Skyger. This one is the main “pet” of the group who isn’t too bright, but makes up for it with his loyalty and kindness. Abandoned by his mother at a young age, his wings were clipped so that he couldn’t fly. Being such outcasts to their own kind, he made fast friends with Ozzie. He’s so loveable that such a big creature could cause so much trouble (more than enough) and I kinda want to hug this guy if he ever showed up. He does get annoying with the whole “we’re a team” shtick, but towards the end, it truly meant something to Ozzie. Plus, I have a fondness for kitties and seeing Tug made this story show off it’s whimsical nature. He could be the mascot of the series, in my opinion. I’d love a Tug plushie. The next is Fidget, a girl with inappropriate hair. Anime purple as I like to call it. She’s cursed by a strange witch where water makes her spawn creepy crawlies, almost like Glibbers, which makes some think that she’s a spy for the Glibber king. She does have a strong personality and a knows more than Ozzie about anything in this world. She and Ozzie have a strange relationship that balances out when they work together. These three comprise of the main “trio” of the group. They may not trust each other so much, but they’re inspiring enough. Ozzie with his innocence, Fidget with her skills and wit, and Tug with his loyalty and kindness. A perfect team, if I might say. One last character is Master Isidorus Nymm, the head wizard and one of the “antagonists” if you will. He’s a big hot shot who has an ego bigger than the multiverse itself, added to his dominance that he can essentially boss and fire anyone he pleases. Being the head, he has a lot of power (fun fact: a group of wizards is called a Conjuring of wizards) and a bit too much stubbornness. He refuses to believe that he allowed the Glibber King to escape and even goes far as to show the very moment when he was sealed, including deaf guards so his words cannot affect them (since, you know, they can’t hear). I should mention that while it’s a strange use of disability representation, it is a unique idea regardless for a villain who relies on vocal speech to manipulate his enemies. At one point I for one moment thought that despite his pompous attitude, he had a sense of level headedness to him. However, his attitude is still that he’s overconfident and lets his status get to him. I won’t spoil the ending, but I will say for a character like him, it’s as satisfying as it gets to see his fate play out as it does. This is going long already, but this was a fantastic story. Something that really sent me to another world and made me enjoy being a kid again. Magic, fantasy, mythical animals, alternate realities, this has it all. I’d love to see more of this universe and can’t wait to return to Zoone once again. I’d strongly recommend picking this up, especially if you have younger readers. + A coloful cast that I supported all the way. + Fantastic storyline and great pacing. + A perfect read for any age. +/- Could have developed the worlds beyond Zoone a bit more. Posted on April 5, 2019 by Steven CapobiancoPosted in Fiction Friday, UncategorizedTagged April, April 2019, Fantasy, Fiction, Fiction Friday, middle-grade, Modern Fantasy, Novel, Review, story.